Seed is a Canadian unisex, natural activewear company. All of their products are hemp blended with organic cotton, and they are on a mission to bring hemp production to North America. 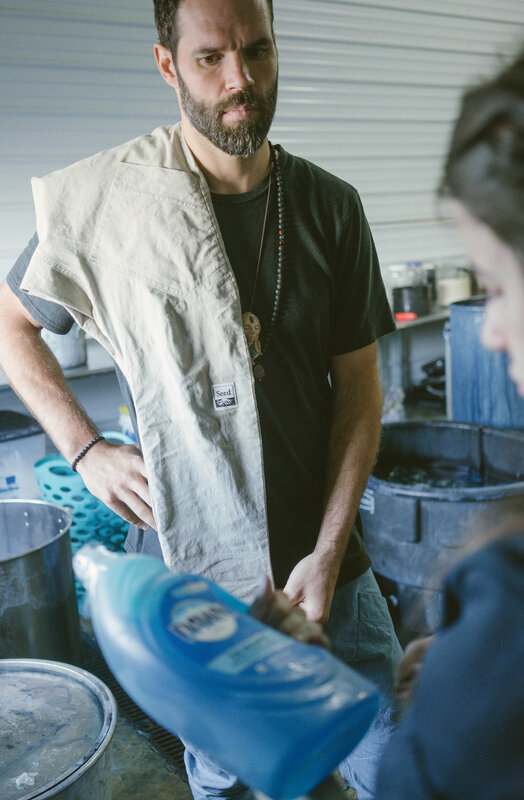 Seed took their mission one step greener when they released the Natural Dye Antidote Pant in Clay, Indigo, and Coral. Founder of Seed, Blake Ward visited our dye studio (all the way from Canada!) to learn more about our process and to shoot a short documentary, filmed by Andi Wardrop, to capture the importance of sustainable apparel, and to tell the story of what Seed and Green Matters made together. Ranch 01 was a single ranch yarn line released by Brooklyn Tweed in the Spring of 2018. The collection features 26 unique colors that were dyed using plants and insects. 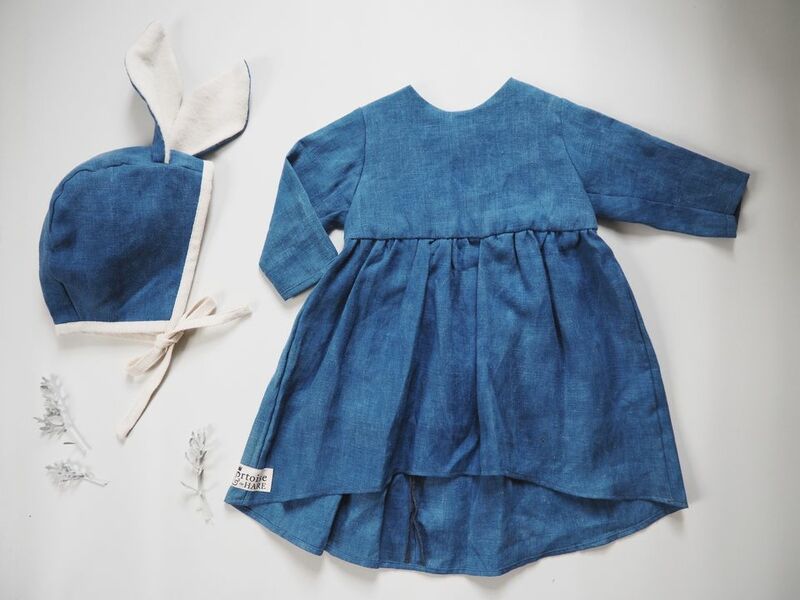 The fiber was sourced from The Bare Ranch in Surprise Valley, California, scoured in South Carolina, spun in Maine, and botanically dyed in Pennsylvania. We are so proud to work with a company like Brooklyn Tweed who considers the impact of their production so carefully. Ranch 01 is available for purchase here. The image above belongs to Brooklyn Tweed, and can be downloaded at Brooklyn Tweed's website . All photography is by Jared Flood. 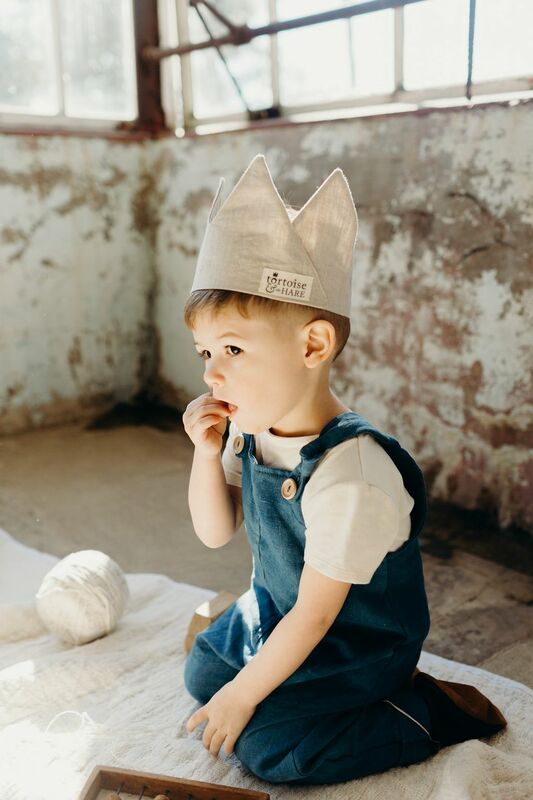 Tortoise + The Hare is a luxury children's wear brand that is manufactured right here in Lancaster County. Rosina Lapp is the creative mind behind this whimsical clothing line. We have collaborated with this brand for multiple seasons, creating unique color stories that celebrate childhood on a farm. Milo + Nicki is a luxury womenswear brand that considers the welfare of animals and the planet when planning a collection. We collaborated with this company for a collection of vacation wear made out of an indigo dyed Ahimsa silk & GOTS organic cotton blend. All of the garments are sewn in NYC. This collection was a wonderful opportunity to magnify the variation in natural dye by using the crumple resist technique. O-wool is a Pennsylvania based knitting product brand, with a focus on sustainability and animal rights. 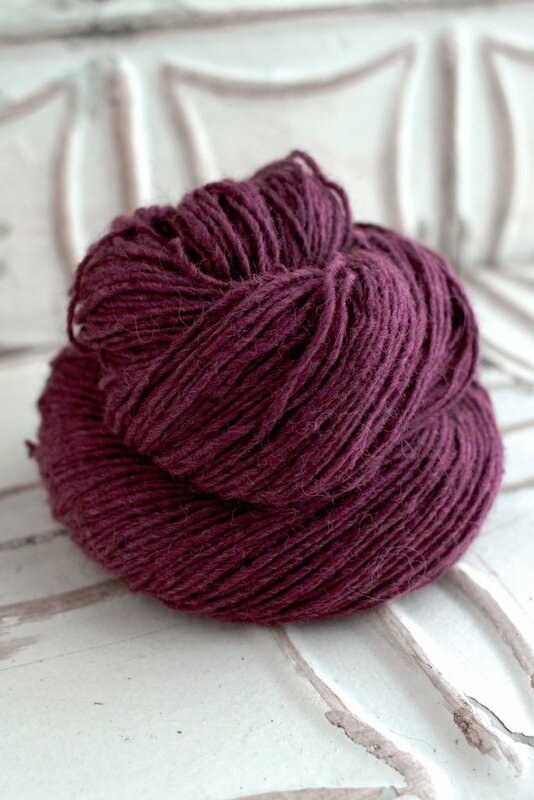 Local is such a fitting name for this yarn line, as it was sourced, milled, spun and dyed within a 175 mile radius, making it a product of the greater NYC fibershed. We are very proud to work with local producers, reducing the carbon footprint of textile manufacturing. 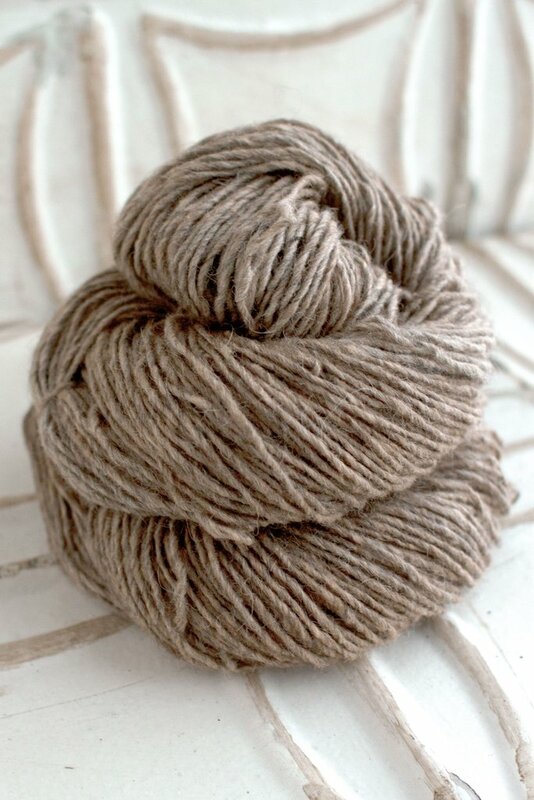 The yarn line is alpaca blended wool, sourced from Pennsylvania and New Jersey. Check out O-Wool for other exciting yarn lines, including GOTS certified superwash.